It doesn't say just how high it will go, but I like to location. It's near the convergence of US-64 and the Beltline. If it gets to as high as 15 stories, it would make an impact on that part of the city. RALEIGH -- As multistory condominium buildings change the landscape downtown, the son of a pioneering Southeast Raleigh developer has plans to pierce the sky on another side of the city. John W. Winters Jr., namesake of the late state Sen. John W. Winters Sr., is planning a mixed-use, high-rise building with retail, offices and as many as 200 condominiums near Poole and Sunnybrook roads. The real-estate broker has an option to buy 8.4 acres near the Interstate 440 Beltline. Winters showed his preliminary plans at last week's Southeast Citizens Advisory Council meeting. "I would like to see it tall enough so it is visible to traffic on that new Knightdale interchange -- so that it could provide an incentive for major restaurants to come and locate here and hopefully that will be good for you all as well," he told about a dozen residents who gathered Thursday for the monthly forum. The high-rise would kick a different flavor into the area's prevailing development pattern of large brick homes on large lots. The Walnut Creek Shopping Center, anchored by a Food Lion and flanked by fast-food chain restaurants, is the major plaza in that stretch of Poole Road. 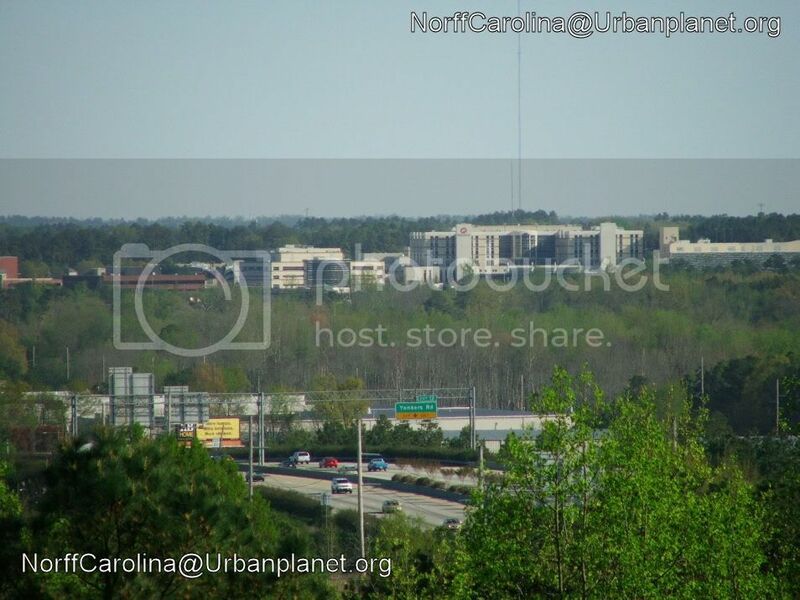 Southeast Raleigh has few tall buildings other than WakeMed. Winters said he envisions a high-rise with a "Far East" motif, retail on the first two floors and a two-level parking deck. There's interest from at least one financial institution in opening a branch on the ground floor, he said. The upper floors will include condominiums with one and two bedrooms, plus some efficiency condos selling for $100,000 to $120,000, he said. "I want it to be something that is entirely different and something that will stand out and be attractive," Winters said. "Diversity is important. We see what's going up in other parts of the city. I'm hoping this will show that we in the African-American community have the ability to develop socially responsible developments that are meaningful to the area." Similar projects with higher-priced condos abound in downtown Raleigh, on Glenwood South and along major thoroughfares in North Raleigh. Residents at the meeting applauded Winters' idea for something new on their side of town. "A project like that adds value to anything in the neighborhood," said William L. Hunter. "That's how you get change." The elder Winters was the first black member of the Raleigh City Council and one of North Carolina's first black state senators of the 20th century. His most notable developments include the Madonna Acres enclave near St. Augustine's College and the Biltmore Hills subdivision off Garner Road. Winters expects to start building next year. His newest project is planned alongside a tight stretch of Sunnybrook that bottlenecks into two lanes. Some people at the meeting Thursday questioned whether such a dense development would make traffic there worse. The city holds a second meeting tonight at Chavis Center about the Sunnybrook Road widening project to ease traffic between Poole and Falstaff roads, an area south of WakeMed. The informal review of maps and proposed designs begins at 6:30 p.m. with a presentation by city staff at 7 p.m. While new projects are exciting, I have an issue with the location and the location. It would be better to put something like this in downtown, especially if it is a "high rise". Also, of all places for this thing to go... why that part of town?? This tower would be as out of place as the tower in Durham near Southgate Mall, which appears to rise out of nowhere. Keep the skyscrapers downtown, where they belong! ^agreed totally. I've never understood why that one tower is just chillin' over by SouthSquare, I mean downtown durham needs all the help it can get (height wise), they should have put it downtown. Semantics... Most places consider a building of at least 10 stories as a "high rise". I'm sure 10 stories was a pretty big deal back in the day. A "skyscraper" is a different matter altogether and there doesn't seem to be a widely accepted definition of the word. Personally I wouldn't consider a 15 story building a "skyscraper" by any stretch, unless I'm joking around of course... but such a building is a "high rise" by most accounts. Emporis defines a high-rise as a building over 12 stories. This indeed is a high-rise. But a skyscraper it is not. yea fair enough thats a good point, I mean reading it I thought Raleigh was finally gonna start catching up with charlotte, saying the building would be "scraping the sky" then I read 15 stories and I was like what the hell. I got all excited. If the proposed Reynolds project reaches 37 stories, it would end up being the tallest in the city--and I'd wager it would retain that title for a long time. Raleigh is not a supertall city. I believe it is destined to fill in all the gaps with shorter "high rise" and "mid rise" structures. Charlotte will be getting the real trophy towers in the state... just look at the 50+ story proposals on the board now. Charlotte already has the skyline foundation to make something on that scale work aesthetically. I doubt that other NC cities would ever catch up to Charlotte in that regard.